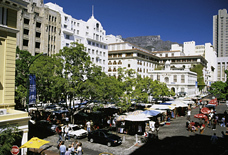 Affectionately known as the Mother City, Cape Town is South Africa's oldest city. Founded in 1652 by Jan van Riebeeck and his band of Dutch settlers, Cape Town is rated as one of the most beautiful cities in the world (the backdrop of flat-topped Table Mountain juxtaposed by the sweep of the Atlantic Ocean in the foreground is a sight indeed). 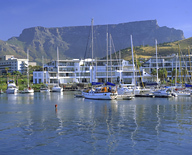 Cape Town has a relaxed atmosphere and offers visitors a host of outdoor leisure activities, as well as all the amenities of a world-class city at the sea. 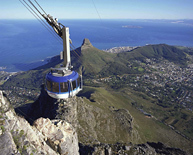 Top attractions include catching the cable-car up Table Mountain to enjoy a panorama of the city and peninsula; taking a ferry to historic Robben Island; drinking tea at Kirstenbosch National Botanical Gardens and visiting the Castle of Good Hope. For outdoor lovers, the Cape of Good Hope Nature Reserve, adorned in delicate indigenous fynbos, affords spectacular views over two oceans in all directions. 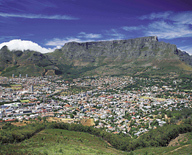 There are numerous hikes and trails all around Cape Town for more energetic visitors. Of course if you’re a wine-lover, then taking in a wine route tour through Stellenbosch is an absolute must. 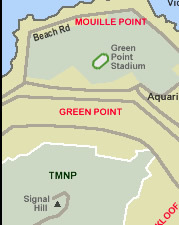 Magnificent beaches line the Atlantic seaboard - Clifton, Camps Bay and Llandudno to name just a few, and warmer waters can be found at Muizenberg, Fish Hoek, St James and Strand. 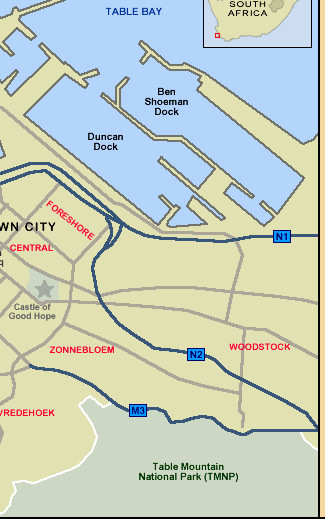 Shopping possibilities are abundant at the Victoria & Alfred Waterfront, Cavendish Square and Canal Walk, while quirky fleamarkets can be found at Greenmarket Square, Green Point and Hout Bay. If it's pulsating nightlife you're after, go directly to Long Street and enjoy trendy dining (and partying) at its absolute best.